The combined effect is $9k/year. Each one of these scholarships is renewable up to four years. (*Note: A student cannot hold both the Presidential Scholarship and the Provost Scholarship at the same time). Students from Erie County, NY who qualify for these scholarships also qualify for an additional $1k (freshman year only). More info at http://financialaid.buffalostate.edu/first-year. For incoming physics (or physics education or 3/2 physics) majors at Buffalo State, these scholarships provide $4,000 annually renewable for up to four years. First time college students, current Buffalo State Physics majors (all concentrations) and transfers with sufficient grades and test scores are eligible. Requirements for the Sweet Scholarship are at the Sweet Scholarship page. If you qualify for the Sweet Scholarship, you probably also qualify for scholarships through the Muriel A. Howard Honors Program. Honors Program scholarships are $2,500 annually, which renewable for up to four years. More info can be found at http://financialaid.buffalostate.edu/first-year. If you qualify for the Sweet Scholarship, you also probably qualify for either the College's Presidential Scholarship ($2.5k/year, renewable for up to four years) or the Provost Scholarship ($2k/year, renewable up to four years). Both the Presidential and Provost Scholarships are awarded automatically to qualified students- there is no application process.  More info on the Provost and Presidential Scholarships may be found at http://financialaid.buffalostate.edu/first-year. The NYS STEM Incentive Program provides a full SUNY tuition scholarship to the top 10 percent of students in each NYS high school if they pursue a STEM degree in an associate’s or bachelor’s degree program and agree to live in NYS and work in a STEM field in NYS for five years after graduation. More info can be found on the NYS HESC website.